New parents are often surprised by how much fun it can be to shop for their new baby or toddler . And we've just made it easier this Holiday Season by offering you some great ideas in our Gift Guides. We live in a most whimsical of times to buy for your infant and toddler. The choices of products both safe and fun are virtually endless. From heirloom keepsakes to play-now and pass-on pieces, from the perfect gift the most practical of accessories, we've got you covered. Browse through our picks for babes and toddlers this Holiday Season. 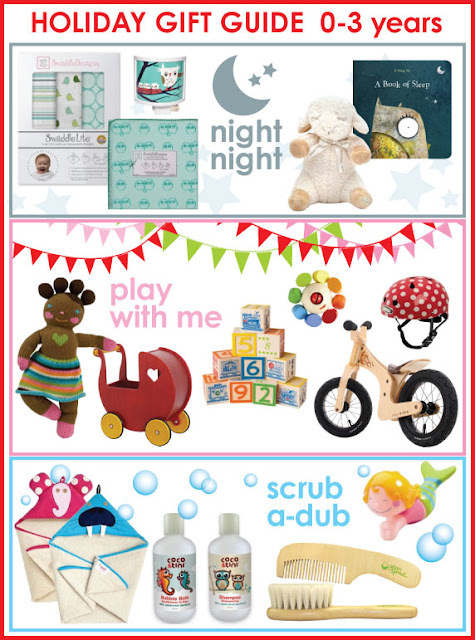 Click here for our Newborn to 3 years Gift Guide.